The military offers a number of scholarships and grants to enlisted men and women, civilians interested in enlisting and veterans all over the United States. There is such an abundance of funding available that many students find military service a fair exchange for an education that they might not otherwise be able to afford. Students of all ages, from all walks of life can find the military grant or scholarship that is right for them. All it takes is a little research. Take time to browse this list of the most popular scholarships and grants to find the program that suits your needs. Like all branches of military service, the Navy holds education in high regard. All enlisted men must at least have a high school diploma and officers must have a college degree. For those who have yet to have the opportunity to advance their career academically, the Navy offers financial aid. Whether you are looking to advance the technical skill required for certain jobs in the Navy or pursuing independent career goals, the Navy supports its enlisted men and women. There are many opportunities to fund any number of degree programs from associate’s to PhDs and beyond. The Naval Reserve Officers Training Corps (NROTC) Scholarship Program offers funding for civilians who are not yet enlisted in the Navy but interested in joining. Those chosen to receive this merit-based scholarship can win up to $180,000 to fund their education. The scholarship applies to over 160 of the best colleges and universities in the United States. The scholarship funds may be used on tuition, enrollment fees, text books and any other fees associated with university. And the benefits don’t stop with school fees. Recipients also receive a monthly stipend. The stipend comes every month they are enrolled and increases each year they are enrolled. Freshmen receive $250 per month. Seniors receive $400. Obligation: Once chosen and enrolled in the program, students must take a Naval Science course each semester. They must also join the NROTC. As members of the NROTC, they must participate in Naval drills and wear their Navy uniform at least one day out of every week. During the summer, NROTC students must attend Summer Cruise Training. During this summer training, trainees work alongside Navy Officers doing actual field work similar to the work that they will be doing in their chosen field. Students may be assigned to carriers, submarines or even aviation squadrons. Some may have the opportunity to train with Navy Officers in other countries. Once NROTC scholarship recipients graduate from the program of their choice, they will be commissioned as Ensigns in the Naval Reserves. Once signed up, NROTC scholarship recipients must serve in the Navy for at least five years of active duty. During that service, they will follow the career path they trained for. Popular career paths include Surface Warfare, Naval Aviation or Naval Flight Officer, Submarine Officer, Explosive Ordnance Disposal Officer or Special Warfare Officer. The exception to this rule is nursing students. The Navy needs nurses and those NROTC scholarship recipients that obtain nursing degrees are guaranteed a position as a nurse and a Naval Officer within the Navy. During their service, they will treat Naval Officers in the field as well as their family members. Nursing students are only required to commit to four years of active duty. be a U.S. citizen who has obtained a high school diploma or equivalent by August 1st of the year you intend to enroll. have less than 30 semester hours or 45 quarter hours of university education. be no younger than 17 years of age on September 1st of the year of enrollment and no older than 27 on June 30th on the year of graduation. pass the Navy’s physical to their specifications. To Apply: You may apply for the NROTC scholarship as early as the second semester of your junior year of high school. To obtain an application, contact your local Navy recruitment officer or the head of your school’s NROTC unit. The Navy Baccalaureate Degree Completion Program (BDCP) is a grant designed for undergraduate students who are currently enrolled in the school of their choice. In exchange for tuition coverage, the Navy grooms the recipient to become a Naval Officer. The grant awarded to the Navy’s BDCP recipients is one of the most comprehensive packages offered by the Navy. Awardees are chosen based on merit. Each chosen applicant will receive up to $169,700 toward their tuition, books and associated college fees. Students pursuing any field of study are welcome to apply. However, students pursuing technical degrees — math, science, etc. — are preferred. Students pursuing technical degrees may receive as much as $27,000 per year for tuition alone. Non-technical majors are limited to $18,000 per year. Chosen applicants also receive a monthly housing and food allowance and military salary that ranges from $2,575 to $4700 per year for up to three years before graduation. The actual amount of the award is paid to the recipient in the form of their salary as an active duty sailor in pay grade E-3. Because the scholarship is given in the form of a salary, awardees also receive full medical and dental benefits. Obligation: BDCP awardees begin their commitment to join the Navy immediately after they graduate. Once they receive their diploma, award recipients enlist. During their service, they will be fast tracked along one of many in-demand career paths in the Navy. Currently, the most sought-after career paths include Aviation, Information Warfare, Intelligence, Meteorology and Oceanography, Public Affairs, Logistics and Special Ops. Recipients of the Navy’s BDCP scholarship award must commit to at least 4 years of Active Duty enlistment. In addition to that initial service commitment — however long it may be — recipients must also agree to another four years of duty as a reserve officer. Immediately after graduation, BDCP scholarship recipients are enrolled in Officer Candidate School, a 13 week program. Upon completion, successful students become officers in the Naval Reserve. Be at least 18 years of age and no older than 34 years of age once the program is completed. Be within 36 months of graduating with a technical degree or within 24 months of graduating with a non-technical degree. Applicants in their final semester of school are rarely selected. Application: The BDCP is a competitive program. Only candidates who show the potential for academic success and success as a Naval officer will be selected. Awardees are hand-picked by a panel of Naval officers. Applications are available at your local Navy Recruitment Office. In the Navy, only service men and women with college degrees can rise to the rank of officer. In order to help interested service men and women rise through the ranks, the Navy offers a number of scholarships and grants. These scholarships allow enlistees to pursue their education while they serve. The Navy College Program is a scholarship that provides tuition assistance for active duty Sailors and Officers who wish to pursue their education while they are off duty. To be eligible, applicants must have a high school diploma. Although the award is available to applicants who have taken college credits, the majority of the scholarship funds are reserved for those service members who do not currently have a college degree. The Navy Tuition Assistance program pays 100% of the cost for tuition and other school fees up front. Recipients are limited to $250 per semester hour and $166.67 per quarter hour. Students may not take more than 16 semester hours or 24 quarter hours per academic year. The award amount cannot exceed $4500 per academic year per student. The scholarship funds may be used to finance courses taken at colleges, universities and vocational and technical training institutions. Any chosen institution must be accredited by the Department of Education and chosen with the help of counselors at the navy College Office. The courses taken may be attended on campus or as online courses. On continuous active duty. Naval Reservists must be ordered to active duty for 120 days. Naval Officers and Enlisted Service members must be ordered to active duty for at least 2 years. You must remain on active duty for the length of the coursework you intend to take. Naval Officers must agree to remain on active duty for a minimum of 2 years after they complete any courses funded by the Navy Tuition Assistance program. This additional 2 years is in addition to any existing service obligations. 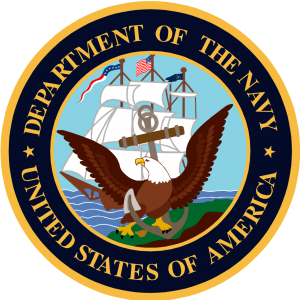 To Apply: Applications for the Navy’s Tuition Assistance scholarship may be found here. Applications must be turned in to your Navy College Office or Marine Corps Education Center. The navy is always looking to recruit men and women with advanced degrees. They are so keen that they will even pay for your education in exchange for service. College graduates looking to continue their education will find a number of Navy scholarships and grants available. The Navy is especially interested in students looking to become physicians, dentists, nurses, scientists, health care administrators or clinical care providers. Many of the scholarships the on offer provide full rides through graduate school and continue on through residency and internship programs. Health Professions Scholarship Program: The Health Professions Scholarship Program (HPSP) is a grant that covers 100% of the tuition and fees for students looking to attend medical school, dental school or other health related graduate program. In addition to the tuition coverage, HPSP provides successful candidates with $2,088 per month to cover living expenses. That coverage is available every year that the student is enrolled, for up to four years. Once candidates graduate successfully, they are eligible for a signing bonus that may equal $20,000 or less depending on the student’s area of specialty. Health Services Collegiate Program: The Health Services Collegiate Program (HSPS) is a grant that is ear-marked for students who are currently enrolled in medical school, dental school or another health related masters or PhD programs. Successful candidates receive between $157,000 and $269,000 towards finishing their education. The grant award amount includes between $3,000 and $5,600 for living expenses. This living stipend is available each year that the student is enrolled ( for up to four years). In addition to the scholarship, selected HSPS candidates are eligible for Navy pay for two years for master’s programs and up to 3 years for Ph.D. programs. The Financial Assistance Program: The Navy’s Financial Assistance Program (FAP) is a scholarship that is earmarked for graduates of medical or dental school who are entering their residency. Successful candidates may receive up to $275,000 in scholarship money. In addition, FAP members are eligible for a $45,000 annual grant, a Navy salary and a monthly stipend of $2,000 for four years. How to Apply:The specific qualifications and awards for each of these programs largely depends on the Navy career that you are interested in once you graduate. For more information, visit the Navy’s Health Care Careers Section and select the position that you are interested in. Application details and scholarship amounts are listed there. The army offers a number of scholarships and grants for students looking to attend college or university and those already enrolled. Students interested in military service will find a wide range of possibilities open to them. Commitment: Students who receive the ROTC scholarship must agree to enlist in the Army for four years of active duty service and four years in the Individual Ready Reserve for a total of 8 years of service. Depending on their chosen career paths, some recipients may be allowed to serve their reserve time in the Army Reserve or the Army Nation National Guard part time while pursuing their civilian career. Application: To apply. Create a MY GOARMY account online. Then use your application information to sign in and complete your application. The initial application deadline is January 10th. Additional material may be included until February 28th. The Frederick C. Branch Scholarship Program is named after the first black officer in the United States Marine Corps. In that soldier’s name, the Army’s Reserve Officer’s Training Corps (ROTC) offers a scholarship to students attending historically black colleges and universities with ROTC programs. Roughly 200 of these scholarships are awarded as a one-time award for students entering their first year of school. As much as $16,000 per student is awarded each year. Commitment: Students who receive this award must join the ROTC program at their university. Application: To apply, contact the officer in charge of the ROTC program at your historically black college or university. Like the Navy and all other branches of the armed forces, the Army is always on the lookout for medical professionals. Aspiring doctors, nurses and medical technicians will find plenty of opportunity to have their tuition expenses covered in exchange for a few years of military service. The F. Edward Hebert Armed Forces Health Professions Scholarship Program (HPSP) scholarship is a scholarship ear marked for college graduates who intend to pursue an advanced medical degree. Recipients of this scholarship will receive 100% tuition coverage (including books and fees) at any graduate school in the United States and Puerto Rico. In addition to tuition coverage, recipients also receive a stipend of roughly $2,000 per month. Once recipients graduate, they receive a sign on bonus of up to $20,000 depending on their career track within the military. Commitment: Recipients of HPSP are required to train as part of the army’s health care team during school breaks to train in your specialty. During this local training, recipients receive Army officer’s pay. Once recipients graduate, they enter the U.S. Army at the rank of Captain and receive a salary and food and housing allowance. Recipients must commit at least one year of service for every year they receive HPSP. The minimum service requirement varies depending on the course of study recipients pursue. Required internships and residencies are completed with the military while receiving an officer’s pay. Application: To apply for the F. Edward Herbert Armed Forces Health Professions Scholarship Program, request an information pack here. The army doesn’t reserve all of its scholarships and grants for men and women willing to serve. The military also offers educational opportunities to the spouses and children of men and women who are currently served or have served. These scholarship and grant opportunities require no service on the recipient’s part. The Army Scholarship Foundation is designed to help the spouses and children of men and women who have served in the military. The foundation provides a small award to students entering their undergraduate year of school at a college, university or technical/vocational school. Each year, between $500 and $2,000 is awarded to each qualified applicant. The award is renewable from year to year but applicants must reapply each year. Have a parent or spouse that is active duty, killed while serving or honorably discharged from the National Guard U.S. Army or U. S. Army. Application: Competition for this scholarship is tough. Awards are given to the applicants with the most impressive credentials. To apply, you must provide a Certificate of Good Service (DD 214 form) for your spouse or parent, a signed income tax return from the most recent available year, an essay and a photograph. To apply, go here to download a form. Applications are due May 1st each year. The Air Force is arguably one of the most competitive branches of the military. To help the best and brightest reach officer-rank, the Air Force offers a number of scholarships and grants to men and women who are willing to enlist. Most of the Air Force’s awards are merit based and quite competitive. 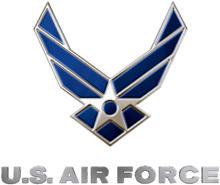 The Air Force Reserve Officer’s Training Corps (ROTC) offers full or partial scholarships to high school students that have been accepted to 4-year accredited colleges and universities. The highest awards go to students pursuing technical degrees that would be useful in a career in the Air Force. However, the scholarship is available to students pursuing majors in all fields. Scholarships are available in 4-year versions which activate the fall of freshman year and 3-year options which activate the fall of sophomore year. Awards: There are several different types of awards for high school students. Type 1: This award provides students with 100% tuition coverage for all of the four years that they are in college. Students attending schools with tuitions higher than this are responsible for the balance. In addition to tuition coverage, funding is provided for all school fees and $900 is provided for books each year. Type 1 awards are usually reserved for students pursuing degrees in technical fields and are awarded to roughly 5% of applicants. Type 2: This award provides up to $18,000 per year for tuition and up to $900 per year for books. Type 2 awards are usually reserved for students pursuing degrees in technical fields and are awarded to roughly 15% of applicants. Type 7: This award provides students with scholarship funds equal to the in-state tuition of public schools in their state. The majority of applicants receive this type of scholarship. Be at least 17 years of age during the fall of the year your scholarship will activate. Be less than 31 years old on the day you will graduate. Commitment: Recipients of the ROTC award must attend the ROTC program at their schools for all four years that they attend. Students who receive a 3-year scholarship must join ROTC in their freshman year even though their award has not kicked in yet. Once students reach their sophomore year of college they will be asked to agree to become commissioned officers upon graduation. Application: To apply, you must submit transcripts from grades 9 through 11, a list of your extracurricular activities, a resume, SAT or ACT scores and your GPA. You’ll find the application here. Applications are due December 1st of each year. 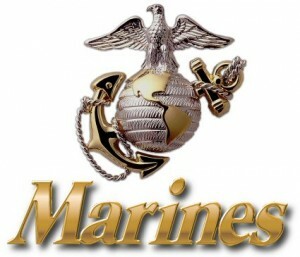 The Marine Corps is another highly-selective branch of the United States Military. In honor of the men and women who serve with the Marines, this branch offers a number of scholarships and grants. These awards are some of the highest and most comprehensive in the military. Most are merit based. The Marine Corps Scholarship was founded in 1962 and is the oldest and largest scholarship available to military families in the United States. Since its inception, the Foundation has awarded $65,000,000 need-based scholarships to 22,000 undergraduate students who are the children of Marines. The amount awarded to each student varies from applicant to applicant. Application: To apply for this scholarship, go here. Not all grants and scholarships are branch specific. Many government and independent organizations offer financial aid to the children and spouses of current and former service members. These awards may be need or merit based. The Spouse and Dependents Education Assistance Program is a scholarship program offered to the children and spouses of veterans through the Dependents’ Educational Assistance (DEA) program. Accepted applicants can receive up to 45 months of tuition support to pursue undergraduate or postgraduate degrees, certificates, apprenticeships, training, correspondence and refresher courses approved by the veterans association. Recipients are not obligated to enlist in any branch of the military. The scholarship is given in varying amounts depending on the program. Award amounts vary from $200 to over $1100. To Apply: Fill out the VA Form 22-5490 Application for Survivors’ and Dependents’ Educational Assistance. If you have already started your program, representatives from your school or job must fill out an additional application, the VA Form 22-1999, Enrollment Certification. Send one or both completed applications to the Veteran’s Association office in the state where your education or training will take place. The Fisher House Foundation Scholarship for Military Children is a scholarship funded by the proceeds of donated goods sold through military commissaries. Each year for the past 12 years, the Defense Commissary Agency awards at least one $1500 scholarship to the son or daughter of a service member who patronizes each military commissary location. Each year, roughly 6,000 applicants are chosen from a pool of over 60,000. The scholarship may be used for tuition, school and lab fees, books and other school expenses. be enrolled or accepted as a full-time student at an accredited 4-year college or university. Students entering community or junior colleges must have plans to transfer to a 4-year university. Military Academies are excluded from eligibility. To Apply: Submit your application in person or by mail to the commissary closest to where you or your parent(s) lives. The annual application deadline for each year is February 24th. The Troops to Teachers program is administered through the Secretary of Education and Department of Defense. It provides scholarship money and other support to enlisted men and women who are interested in obtaining certification or licensing as elementary, secondary, vocational or technical school teachers. Priority is given to current service members who have a degree in or are interested in teaching in the technical fields (science, math, etc.) Once that certification or license is obtained, the Troops to Teachers program helps awardees find work in high-need or charter schools. Graduates who choose to work at these schools may receive a $10,000 bonus. be a member of the armed forces who has served at least 10 years of active duty, been honorably discharged, retired or intends to retire the year the application was submitted. Teachers/ Code 02/6490 Saufley Field Road/Pensacola, FL 32509-5243. I am looking for a Grant or Scholarships that helps wounded veterans from O.I.F War and need help with all finance issues with school when G.I. Bill does’nt cover all of it and my medical retirement on school, and having problems with rent too while i am attending school right now. my home address is 301 fifth ave, halethorpe, md 21227. i am a combat wounded disabled veteran and was medical discharged from the u.s. army back in 2008. my injuries have kept me from being able to get a job, and my g.i. bill money is not helping enough with paying for my school, i have 2 children i have to support and pay half rent with one parent on my disability pay from the veteran affairs which is closely around 1,100.00 dollars a month and i am currently attending tesst college in baltimore, md. which is just about the only college i can really attend in my area. my injuries have kept me from being able to get around and with school alot and it mostly affects my financial issues i have went school, rent, food, kids, and transportation from the bus to and from school and to and from the v.a. hospital for my injuries. if you could help me find a grant that can help out with atleast a little bit of of finance needs, that would be wonderful. i can be contacted by mail or email and a phone number is 410-294-8523 is a contact for me also, just leave a message and phone number and i will get back with you as soon as possible, thank you for your time.